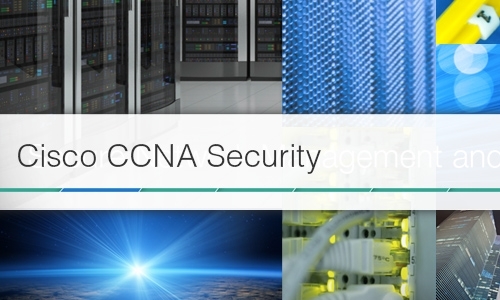 This video course is designed to prepare you for the CCNA Security exam. You will be covering the following topics: security and Cisco routers, AAA on Cisco devices with an in-depth look at TACACS and RADIUS, Access Control Lists, secure network management, common layer 2 attacks, Cisco firewall technologies, Cisco IPS, and last but not least, VPN technologies. You will learn about basic network and information security principles, and will be able to define what AAA is and going over some of its design considerations. ACLs mitigate threats against a network in a variety of ways; we will be covering some of these ways in this course. You will be able to define the management plane and identify practices that can be used to make it more secure. Common Layer 2 Attacks is an exam objective in the CCNA security certification exam; you will cover concepts such as, configuring VLANs, trunking, securing switches, and many more. Cisco Firewall Technologies explain the different firewall technologies and the strengths and weaknesses that surround them. Cisco IPS discusses the difference between a Cisco IPS and Cisco IDS device. The last course in This video course isVPN technologies where you will be discussing the basics of VPN technologies and how IPSec works in a VPN tunnel setup.